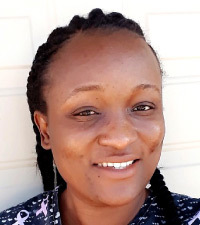 In November, The Waterford at Wilderness Hills Memory Care (www.thewaterford.net) promoted Satta Kekula-Nwanya to the director of healthcare. Satta has been with the Waterford Communities at their Wilderness Hills Memory care location for almost two years. During her time with The Waterford, Satta has proven to be a compassionate and dedicated caregiver. She always goes out of her way to make the residents feel valued, safe, and loved. Her commitment to her residents, their families, and to the success of her team is invaluable. The Waterford at Wilderness Hills is very grateful to have her as a new leader in their community. Located at 8939 Keystone Dr., The Waterford at Wilderness Hills specializes in skilled, individualized personal care for residents with dementia or Alzheimer’s conditions including memory impairment, disorientation, and behavioral redirection. They have taken great measures to assemble a team of professionals who are specifically trained to care for each resident based on his/her unique needs. For more, visit www.thewaterford.net or contact Christy Merritt at (402) 802-0631 / christymerritt@thewaterford.net.